The best headphone models from Sony you should consider today. What Kind of Brand is Sony? What Makes Sony Headphones Different From Other Brands? Jump to: Wireless Headphones | Extra Bass Headphones | Noise-Cancelling Headphones | What Makes Sony Different? Introducing the best Sony headphones you can get today. Find a bargain among all the options and make an educated decision. See all the headphones below and compare them instantly in the comparison table. MDR-RF995RK are the popular Sony’s headphones for TV. These wireless headphones are great for use at home when you can’t turn up the TV volume to the max. Therefore, you can instantly listen to your favorite show without bothering others. The wireless headphones use radio frequency to deliver up to 150ft of range from the station. The station works as a charger and a headphone holder at the same time. The whole package looks sleek and the battery holds up to 20 hours per charge. It’s a great package that can be yours for a reasonable price (around $100) because many TV headphones are much more expensive. If you need headphones for TV with a good price and a solid performance, check the Sony MDR RF995RK (also known as model FR895RK in Europe). Sony makes many great wireless headphones and the WH-CH500 are one of their best. If you’re looking for portable, Bluetooth headphones these are great. You get an amazing battery life, up to 20h per charge, with NFC, built-in controls, microphone, and Bluetooth. You get all this, from light, on-ear headphones that swivel and are easy to carry around. 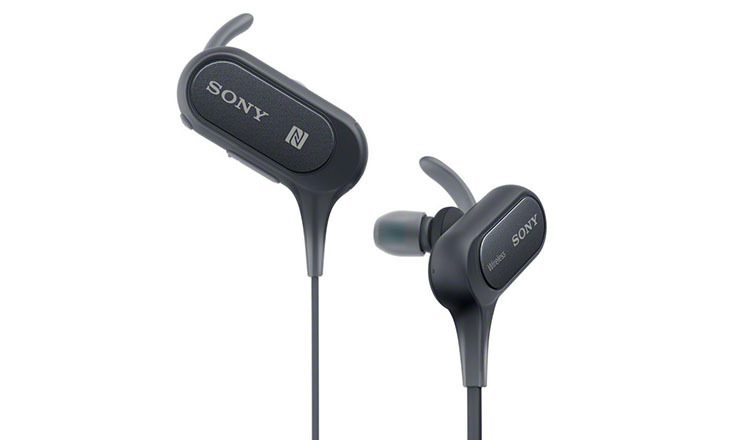 Plus, they have an enjoyable sound quality and Sony’s durability. What more can you ask from a portable, wireless, and on-ear headphones? Additionally, the WH-CH500 won’t break the bank because you can get them under $80. 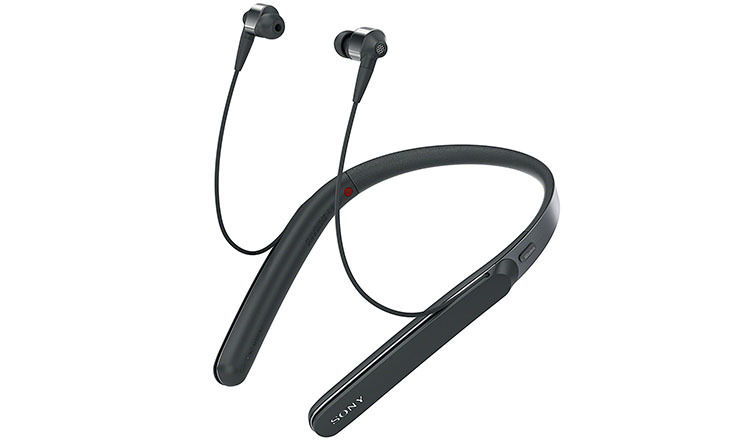 Sony ZX110 are one of the most popular Sony headphones ever created. The main reason is their dirt cheap price. For under $20 you get good sounding on-ear headphones that look good, are well-built and can be folded for easier transport. You’ll have a hard time finding a better bargain. While the ZX110 are very basic wired headphones this is their main advantage. It’s simplicity that works at its best. Nonetheless, if you want additional features like in-line remote controls and a microphone you can get the ZX110AP model for a couple bucks more. 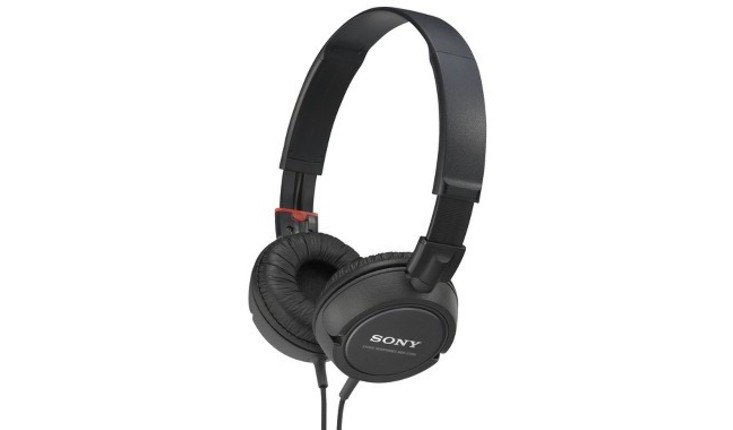 For very basic but proven headphones on a dime, check the Sony ZX110 headphones. 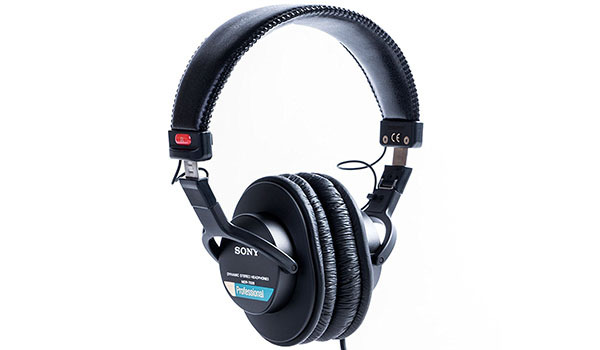 The Sony MDR-7506 are a great classic pair of headphones that is used in studios all over the world. 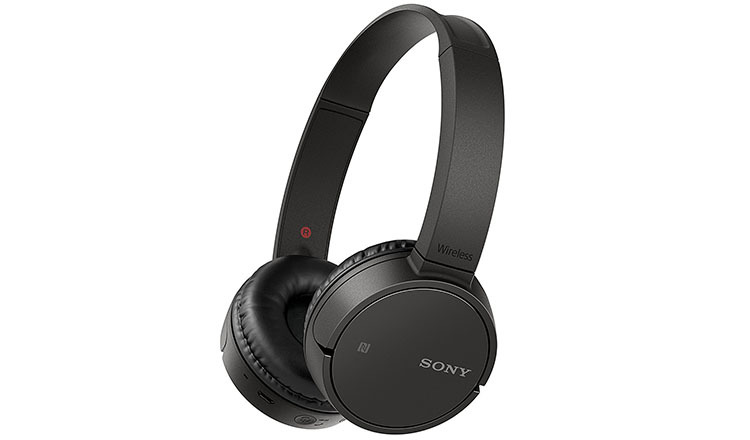 These closed-back, over-the-ear headphones are a staple Sony product for many years due to their incredible quality and value for money. You’re getting great professional sound with clear treble and punchy bass, combined with long-lasting build-quality and proven comfort. All of this, for under $100 is great value for your cash. You can see them on television and radio stations all the time. The design might be a bit outdated compared to modern headphones but that’s because it works. If you want tested and “no-brainer” professional, studio headphones from Sony, get the MDR-7506. Read the full Sony MDR-7506 review. The Sony headphones might not be known for amazing noise-cancellation but their premium ANC headphones are equally good as those from Bose and Sennheiser. Top-notch technology that can compare to the best in the world. To explain further, you can find various noise levels around you that limit your listening experience. ANC reduces these noises so you can hear more of the music. This is Sony’s answer to premium noise-cancelling headphones. It has become a significant niche recently. The WH-1000XM2 are one of the best noise-canceling headphones today and can easily compare to the likes of Bose and Sennheiser. These over-ear headphones are super comfortable, have a premium feel and lots of latest technology. Add to this, Bluetooth, NFC, latest codec support, touch-pad controls, and a voice assistant. Moreover, with up to 30 hours of playtime (quick charging), cutting-edge noise cancellation, and sound quality you will hardly stay cold. Their retail price of around $300 doesn’t hurt the sales because they’ve been a great success for Sony. The WI-1000X are the best in-ear headphones with noise-cancellation from Sony. These fall into the same premium category as their over-ear brothers (WH-1000XM2). With some of the best active noise-cancelling in earbuds, (also known as digital noise cancelling), you can take these with you anywhere you go. Due to their small size, it’s much easier to pack them. You’re getting wireless Bluetooth connectivity, the latest codec support, built-in controls, in-app equalizer, and solid 10 hours of battery. Add to this adjustable ambient noise modes and high-end audio quality. For the right price (a premium amount of $230-ish) you can get your own Sony WI-1000X and enjoy high-end ANC, sound, and functionality. These are the top noise-canceling, true wireless earbuds from Sony, the WF-SP700N. while truly wireless earbuds have their own shortcoming, many people are already using them. 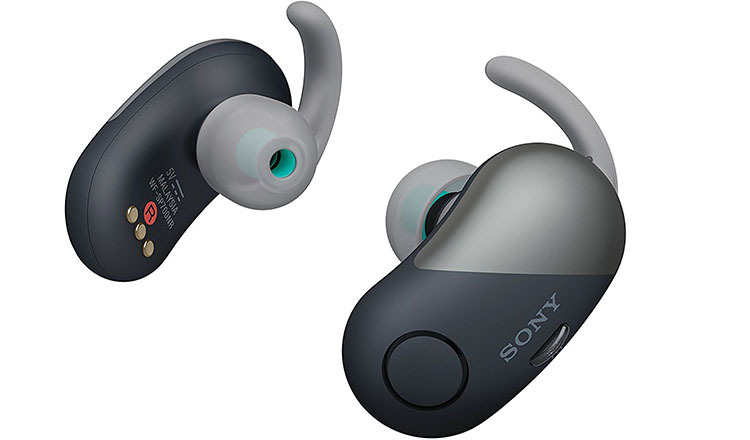 Sony followed the market and created these great noise cancelling and Bluetooth enabled in-ear headphones. It’s quite amazing how much technology is packed in 2 small packets. You get Bluetooth, NFC, noise-cancellation, sweat-resistance (IPX4), microphone, and 3 hours of battery (up to 9h with the case). Because of their sweat protection, they are ideal for sports though keeping a stable fit might be an issue. Nonetheless, the Sony WF-SP700N are one of the better truly wireless offers on the market right now. 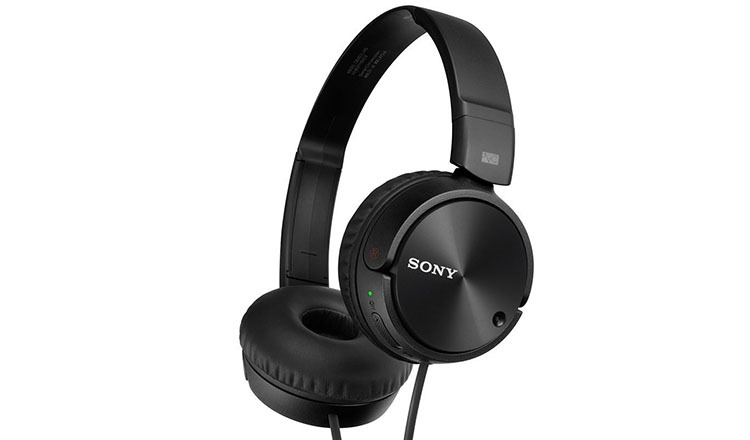 If you want active noise-cancellation on a dime, the Sony MDR-ZX110NC might be just for you. These are similar to popular ZX110 on-ear headphones but with added ANC. It’s powered by one AAA battery which lasts for about 80 hours. Thankfully, the price is low and you can get them for under $50 which is great for headphones in this category. The features are very basic; closed-back design, wired connectivity (3.5mm), 30mm drivers, foldable headband, and built-in controls. While they don’t feature a microphone, that’s plenty of value for the price. For dirt cheap, portable headphones with on-ear ear cups and noise-cancelling, you must check the Sony MDR-ZX110NC. The Sony XB950N1 headphones also have noise cancellation but you can find them under “Extra Bass” category below. Extra Bass is a name from Sony that marks headphones that have emphasized bass sound. You can expect stronger and deeper lows from any headphones with this name. The XB950N1 is the updated model of the popular XB950B1 version. This new version has better battery life and most of all, noise cancelling technology. But since Sony makes better ANC-dedicated headphones these fit better into the “Extra Bass” category. You get a lot of technology. The Extra Bass sound and noise-cancelling can be enabled or disabled with a push of a button (separate button). Due to NFC one-touch pairing, creating a Bluetooth connection is simple. Plus, you have the option of a wired connection. 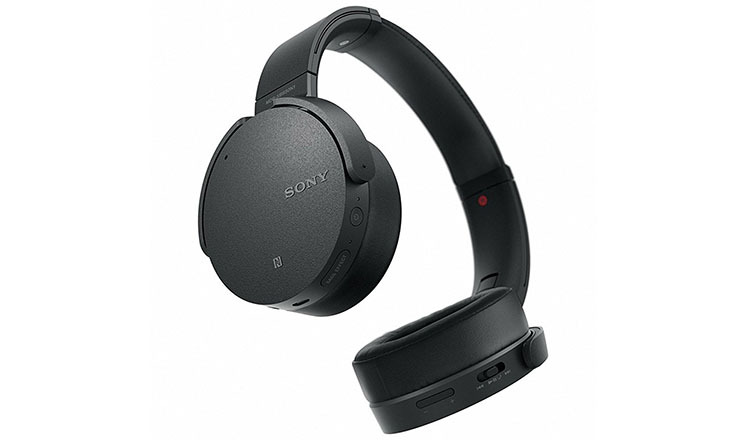 Add to this, a foldable design and up to 22 hours of battery life with all features enabled, and more without ANC or Bluetooth, and you get to see why these over-ear Sony headphones are so popular. 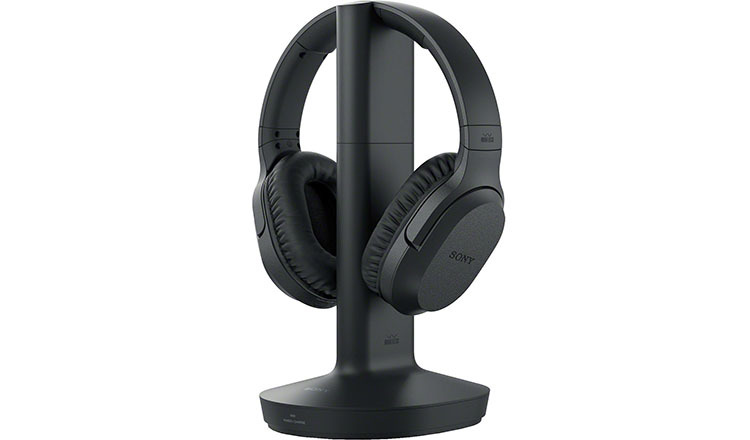 For Extra Bass headphones with technology and under $200 price, get the Sony XB950N1. In case you’re looking for in-ear headphones with strong, powerful bass, take a look at Sony MDR-XB50AP. These affordable earbuds are popular among bassheads for quite some time. With their low price under $30 and proven performance, they are one of the best value-for-money headphones Sony is making. The basic design features 3.5mm connection with an in-line remote control and microphone for making calls. The remote controls only play/pause, skip/previous (double/triple press) and answering calls, there’s no volume control. All in all, the bass is strong and deep creating lots of rhythm for bass lovers. Sony MDR-XB50AP are perfect for bassheads. Read Sony MDR-XB50AP Extra Bass review here. 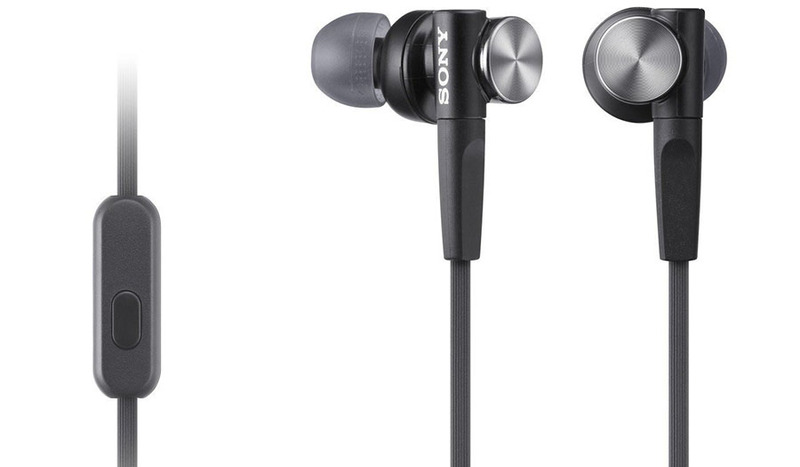 Sony XB50BS are the Extra Bass earbuds for those who dislike wires. These Bluetooth in-ear headphones are made with sports in mind. With IPX4 protection against sweat and water, you can use them for working out with confidence. You also get the option of making calls with a microphone and controlling music with built-in controls. Moreover, the sound has emphasized bass while having clear and detailed treble. It’s a fun sound signature for most people. The battery life is quite good as well, with up to 8.5 hours of playtime. That’s more than many premium wireless sports earbuds. All in all, you get Bluetooth Extra Bass earbuds for sports for under $80. 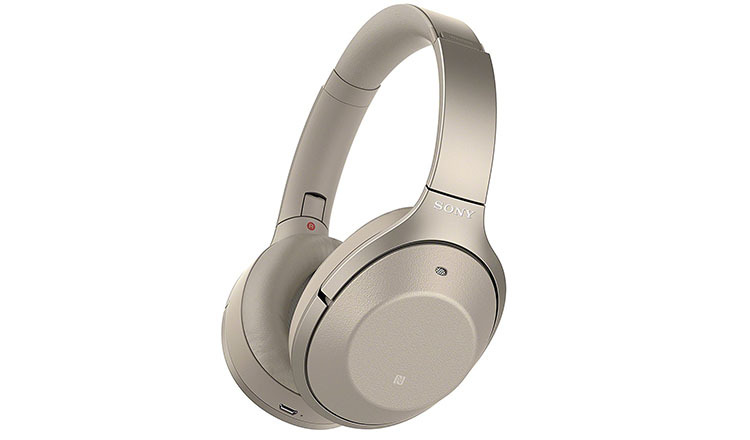 Check the Sony XB50BS on Amazon below. You’re probably already heard about Sony. It’s one of the biggest companies from Japan and they do a lot more than just headphones. Nonetheless, they’re a major player in the headphone market as well. Since they started the Walkman revolution and in a way created a new market for small in-ear headphones. Today, they still make top-notch headphones in any price range. From super cheap ones that are selling en mass to premium, expensive ones that can cost over $2000. Sony has it all. And because of the different prices, their products differ as well. They don’t have a reputation of a premium brand or affordable brand but something in between. They’re more of an average consumer brand with some premium models for those that want more. 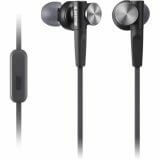 Generally, Sony headphones are well made and have good durability. Of course, there are cases where a specific headphone model is badly made (MDR-1000X…) but they update them fast enough and have a decent responsibility to the consumer. When it comes to audio you can find 2 distinct sound signatures. The “Extra Bass” headphones have emphasized bass and are geared towards bassheads and people liking strong lows. The second is the general Sony sound signature which is usually balanced or slightly V-shaped. This is audio quality that sounds great for all music types. They make headphones that sound good for the general taste in music to catch the biggest market group. Additionally, Sony is trying to make headphones that will be popular with the masses. This is why they offer a lot of wireless headphones with a sleek design and all the latest features at many different price points. What about the value for money? You can expect to pay a fair price. If it’s a cheaper model it’s going to show in features and design. And if it’s a premium headphone you will have to pay a premium price that’s normal in the category. They aren’t the cheapest and neither more expensive. Sony headphones have good value for money overall.